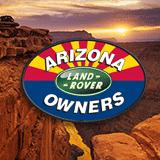 Michael created a new topic ' 2007 Land Rover LR3 SE 4.4 L V8' in the forum. I am reluctant to sell my LR3 but unfortunately due to a divorce I am forced to. With that in mind, I am looking for a buyer who appreciates Land Rovers and will care for my pavement princess. The mileage is currently 160,000 + and is all highway and surface roads, it has never been used off road since I have owned it. The vehicle is grey with black leather interior that is in great condition. Exterior has some minor scratchers and other parking lot blemishes. To my knowledge this vehicle has never been smoked in. Vehicle is serviced regularly and has been either DIY or performed by Rov N Tech since I purchased it. This vehicle is in stock condition and has not had any accidents (have original CarFax report provided by dealer who I purchased from). All windows excluding the windshield are tinted. Michael created a new topic ' Hitachi EAS Compressor (New In Box)' in the forum. I have a brand new Hitachi compressor available for sale that is in the original box and has never been installed. Includes a new relay in the box. Purchased this for my 2007 L3 but did not need it. Asking $780 cash or best reasonable offer.